New season means new routine. I’m always sad to see summer go. I like the cooler fall weather and the beautiful colors of the leaves and trees but it can get bitterly cold in the winter which I am not looking forward to. The change in temperature can also confuse your hair. Here are some of my favorite tricks to update your hair to keep it looking fresh for fall. The first thing I usually notice when the weather becomes cooler is dry itchy skin. The same goes for your hair. 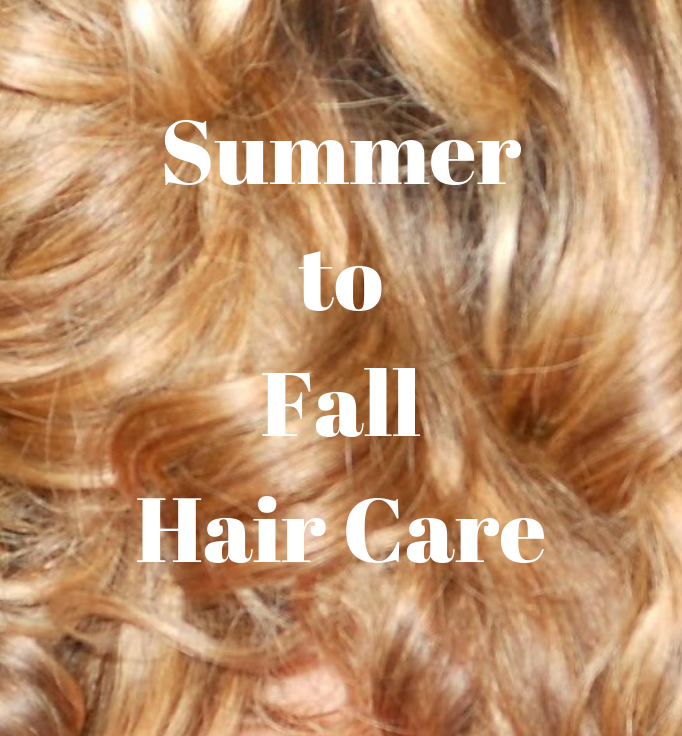 The transition from summer to fall is when it is important to add a hair mask to your routine and change to a moisturizing shampoo and conditioner so your hair can adjust to the change in temperature. Look for extra moisturizing ingredients like Jojoba or Argan oil to secure hydration. Aveda Dry Remedy line is excellent for moisturizing dry hair and giving some life back into the hair. My favorite hair mask for years has been Eva NYC Therapy Sessions Hair Mask, it uses Argan oil feeds hair with vitamins and nutrients, strengthening and repairing dry damaged hair. Here is a super easy at-home Honey Hair Treatment! Natural ingredients are great because they won't strip your hair of natural oils like synthetic and alcohol based ingredients do. Natural ingredients are gentle on the hair and the scalp. It eliminates deposit on the scalp and strengthens the hair. Summer is known for sun-kissed highlighted hair but as time spent outside shortens those highlights will fade. Going a shade or two darker for fall allows this transition to happen easier and evens out the color. If you’re not looking to splurge at a salon, check out my post on Tips for highlighting your hair at home. As the weather gets colder, the humidity decreases, which may cause your hair to go flat. A little teasing and using volumizing products will give flat hair a much-needed boost. Using heat-activated tools can cause damage, especially during the colder months because we tend to use them more often. Add a few protectant products like a spray, serum, mouse, or cream to your fall beauty routine- a touch of protectant on your hair to help prevent breakage from heat styling.